Offers a comprehensive nonmathematical treatment regarding the design and analysis of experiments, focusing on basic concepts rather than calculation of technical details. Much of the discussion is in terms of examples drawn from numerous fields of applications. Subjects include the justification and practical difficulties of randomization, various factors occurring in factorial experiments, selecting the size of an experiments, different purposes for which observations may be made and much more. 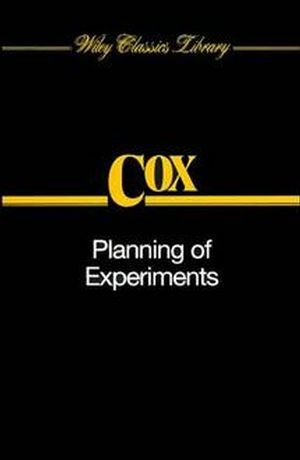 D. R. Cox is the author of Planning of Experiments, published by Wiley. Designs for the Reduction of Error. Use of Supplementary Observations to Reduce Error. Basic Ideas About Factorial Experiments. Design of Simple Factorial Experiments. Choice of Number of Observations. Choice of Units, Treatments, and Observations.